This past February marked 20 years that I have been living in France. I’d never lived anywhere consistently that long. Even my quarter century in New York was rhythmed year on by 3-4 months living in France. Until I went to university, I lived between cultures daily — Lycée français and raised à la française at home while immersed in a wholly American environment. I’m 56, do the math, there’s a chunk missing here. No wonder I’ve been feeling restless and travelling virtually on the Net. As a kid, I knew there were people – millions of people – who were born, grew up, studied, worked, married, raised kids, laughed, cried, and died in the same place. As a New Yorker, going through that in Detroit sounded simply unimaginable (sorry, Detroit, you are in full renewal and have a great music scene, but still….). In the small village in which I live a good chunk of the year, generations take root. Folks here can’t conceive of my life’s trajectory either. Out of the ordinary before, global citizens and global nomads are increasingly common. As individual as our experiences may be, we share a “belong everywhere / belong nowhere” feeling that is sometimes hard to pin down. A dear friend, whose background is even richer than mine, offered me a most wonderful gift early this summer. We’d been speaking of our respective itchy feet, why they itch, wondering what would be next, and I struggled to explain what was making me so restless, unrooted. 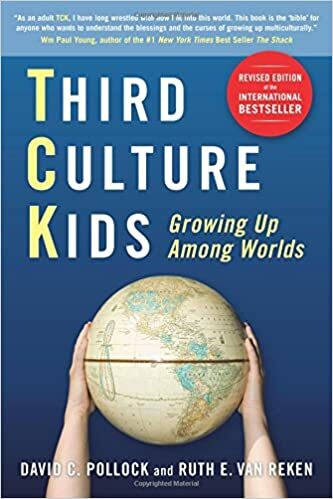 She sent me David Pollock and Ruth van Rencken’s book Third Culture Kids: Growing up Among Worlds. It was a fun and easy read and though I can’t say I learned anything new, I enjoyed countless “ah HA” moments and chuckles as the authors and their interviewees found the words that had failed me for years. Wanting to dig deeper, I’m now reading Writing out of Limbo: International Childhood, Global Nomads and Third Culture Kids, a heftier and more scholarly volume. Perhaps here, I’m also starting to write out of limbo. A quick check-list to see if you are a TCK can be found here. I checked them all off save perhaps statements 2, 8 and 11. Couldn’t possibly confuse a visa and a Visa card! By that definition, I’m a second generation and more likely a fourth culture kid. My Dad was born and lived out his life in Vietnam, outside his parents’ culture. I was born there too and Vietnam is a large part of the missing chunk mentioned above. Whether in Vietnam or the US, my Mother didn’t raise me in her home culture either. I’d venture to say that when we’d come back to France every year, my Mom had difficulty relating to the country and culture in which she had been raised. In fact, while she hardly batted an eyelash when out of the blue I moved from New York to Hawai’i, she turned speechless when I announced I was sashaying from Honolulu to Paris. Pointing out travel time to New York would be cut in half did not lessen, for her, the gripping feeling I was going far, far away. Trời ơi, she kept saying. At home, we didn’t say “ciel”, “oh goodness” or some such. We said trời ơi. For TCK, the home culture is supposed to be the passport country, the place to which you ultimately return. Things get more complex when you have two passport countries (I couldn’t have three, Vietnamese citizenship is based on jus sanguinis). In what should be are my two home cultures, I’ve always been a hidden immigrant — I look, talk and walk ‘local’, but there is always, at some point, some disconnect. The Hidden Immigrant stage is the most difficult and painful part of the evolutionary journey. The TCK returns to his passport country and sees people who look like him, speak the same language, dress like him but at the same time they are nothing like him. Interests are different, experiences rarely intersect and neither the Third Culture Kid nor the Mono-Cultural Kid find much to say to each other. Trying to find out how things work when you look and sound like you should know can be challenging. When I arrived in France in 1995, I called the Sécu several times to find out how to get a social security number. I’d get rapid fire responses that assumed knowledge, my ear catching odd words like “Cerfa” and form numbers but no actionable info. I called back one last time laying on a thick American accent. Only then was I walked through the process. Hurray! Segway: This reminds me of an intercultural team building retreat I’d run for Aventis many years ago. Participants were members of a GVT (global virtual team), had never met, and needed to improve their intercultural communications skills to work more effectively together across vast distances and time differences. One chap was of Pakistani origin, had grown up in Germany, but had emigrated to the US two decades before. His colleagues’ attempts to understand his values, communication style, and motivational needs through the prism of one cultural profile failed miserably. He’d become a “smoothie” of several flavors in careful balance that had to be perceived individually to find relational pathways to the whole person. Ironically, when considering my family’s roots, I feel this all the more in France, because of the difference in cultural attitudes toward foreigners and the countries’ respective histories. If, in the US, I flip into French, I am considered a Yank who speaks good French! In France, the minute a French person hears me say a word in English, I am categorized as American, not French. Both reactions discount — and one seems to want to reject — half of who I am. Cross-cultural or trans-cultural individuals do not think that way, we do not categorize people and put a label on them. Ironically again, perhaps the country in which I have felt the most at ease, despite the difficulties and the language barrier (my Vietnamese is rustier than an old abandoned jalopy), is Vietnam – my birth country. 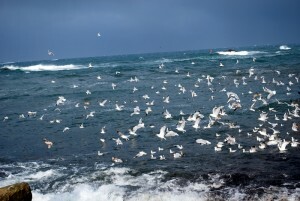 Being an obvious immigrant there is restful somehow. I have found it fosters tolerance, patience and curiosity to get to know the person under the appearance, behind the passport. Of course, if you know how to mặc cả (bargain) and show tình cảm (roughly translated, sentiment) in an appropriate context-dependent way, the tourist label flies off fast. With my feet itching, I dream sometimes of becoming a digital nomad (DN) and returning to a “new and improved” version of the life rhythm that had marked my first few decades. Technologically feasible today, yet not terribly practical at this stage in life when one has been very “settled”, perhaps has different needs and can no longer live out of a suitcase backpack – even if one was willing to forego most or all possessions. I have yet to see a blog by a DN or perpetual traveler (PT) who is in his/her golden years. But if you’ve stumbled across one, tell me! Until recently, my thinking was stuck in either-or mode. Live the last phase in my career and retire (heck, doubt I’ll ever stop working, I’d be bored to tears) in one of my passport countries. Those options did not sit well, I wasn’t feeling the tingling energy yearned for – like being stuck in “away from” mode rather than embracing “going toward” mode. I had never considered settling back in Vietnam; it didn’t cross my mind. It loomed impossible. When that blinder flew off a few weeks ago —perhaps just serendipity or perhaps it was time — I felt a peacefulness and sense of direction I hadn’t experienced in a while. I’ve been scouring the Net since to see how to make that possible when the time comes. The most optimistic about prospects for the next generation are the Vietnamese (91%)….. The most doubtful about the next generation’s prospects are the French (14% optimistic), Italians (15%) and Japanese (18%). This reminded me of a post I’d written at the end of 2011 on the role of cultural differences in overcoming political and economic crises. The first decade of the 21st Century had been marked by 9/11, Lehman Brother’s and the global economic collapse. I’d been stunned by the immense contrast in New York and France’s responses — from attitudes & architecture to values. Four years later, the concerns and, yes, disappointment I’d expressed sadly have proven valid. Even rainbows need rain. Perhaps the seeds of this TCK’s next phase were planted then. TCK readers, I’d love to hear your stories. The comment section has no content limit, so feel free to go to town!